Thin, +/- evanescent, greyish to blue-grey, granular thallus with grey-green, yellowish-green or bluish soralia. 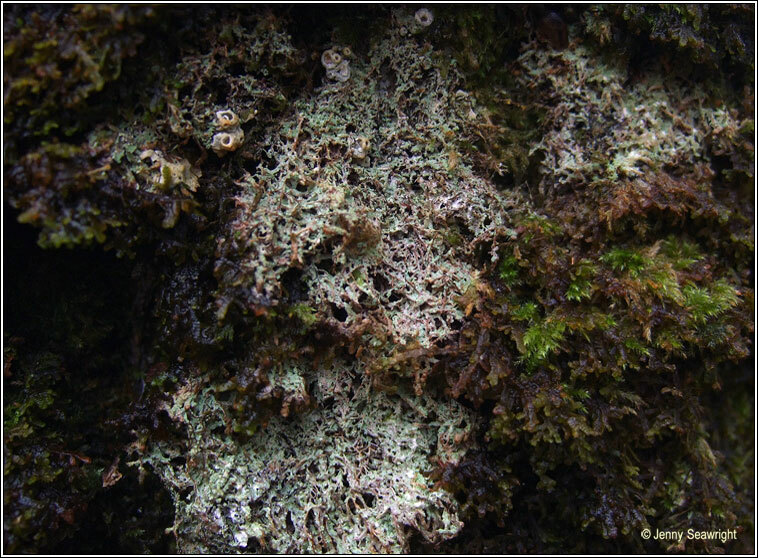 Pycnidia are absent, apothecia rare, flat or +/- convex, black or brownish with paler margins. Ascus 8-spored, spores 1-septate 10-18 x 4.5-6.5 µm. On acidic mossy trunks of oak, ash and willow in old, damp woods. 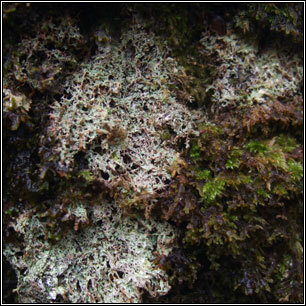 Rare on branches, mossy rocks, coastal soil and calluna stems. Similar: Megalaria grossa. Thallus: Chemical reactions negative.